This is a great testimonial from Kyneton Toyota on the value that the Eco Bin colour-coded waste management solutions delivered. In 2013 Kyneton Toyota was awarded a Toyota Environmental Dealership or TED which recognises dealers who embrace environmental excellence. Not wanting to just rest on their accolades, earlier this year Kyneton Toyota contacted me to see what else they could do to reduce their environmental impact. One of our first tasks was to assess the waste going to landfill and we realised that most could be recycled. John and Ros Bradbury were very keen to make an impact not just because it was the right thing to do, but because it could make their business more efficient and because it could save their business money. Together we set up a green team, studied the waste stream, installed a new three-bin system and educated all staff on its use. We improved the outside collection system, adjusted the system inside and after we began to make it work we soon saw the result: a 45% waste reduction. 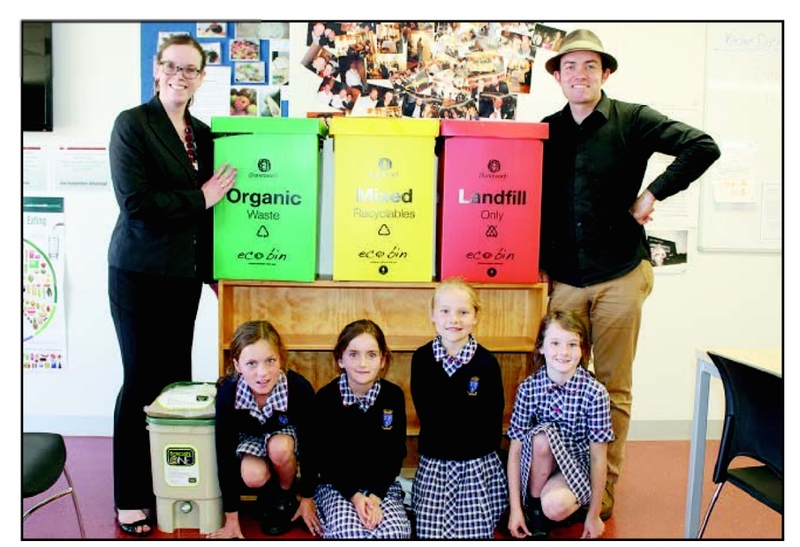 Once it was all up and working they then invited the local school to visit and provided a three-bin system for their classrooms to spread the message. I call that a win, win, win, win. The winds of change are blowing on many fronts – make sure your organisation reaps the rewards, or at the very least, avoids the coming costs.